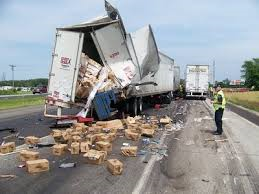 There are many truck accidents resulting in serious injury and death. For example, 4,186 large trucks and buses were involved in fatal crashes in 2013. This was an increase over 2012. The roads are getting more dangerous. See https://www.fmcsa.dot.gov/safety/data-and-statistics/large-truck-and-bus-crash-facts-2013#sthash.fsGLrIOK.dpuf. It is expected that one of every eight traffic fatalities is caused by a collision with a large truck. Most deaths that occur in these accidents are the passengers of the automobiles. If you or a loved one has been hurt or killed in a truck accident, we want to help you get the compensation you deserve so you can focus on healing from your injuries. Contact us today at 855-929-0900 or online for a free consultation. We are always available to speak with you, and if you are unable to come to our offices, we will come to you.